A guardian, called mama David, is being hunted for inflicting injury on the left arm of nine years old David with a hot knife as punishment for buying biscuit with N50 he received as gift. 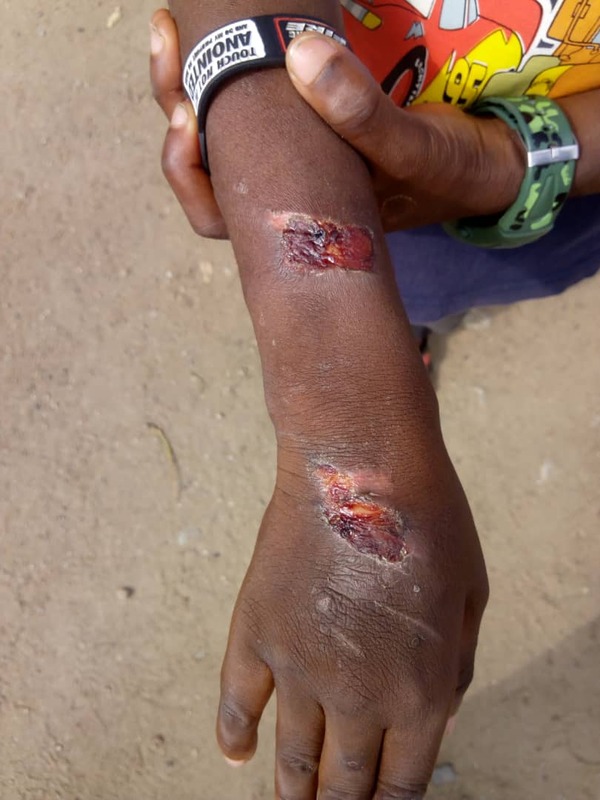 The little boy and pupil of Akoka primary school, who lived at 87, Finbarr's College road, Bariga, has rashes like ringworm all over his head coupled with the injury on his left arm. 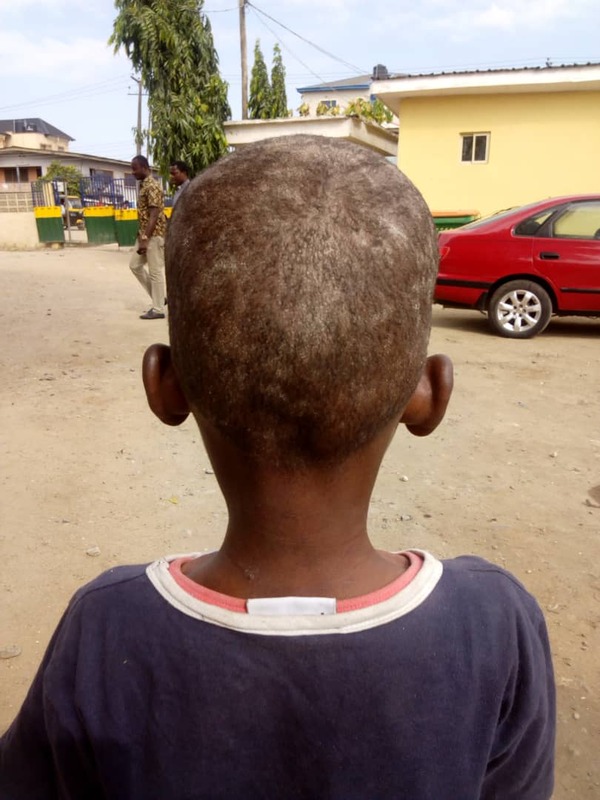 According to the Child Protection Network Coordinator of Shomolu LGA, Comrade Toyin Okanlawon, who reported the case, the grandma who housed David as a house keeper did it to him. Currently, the case has been reported at Bariga police station. Although David is aged nine, he looks stunted. 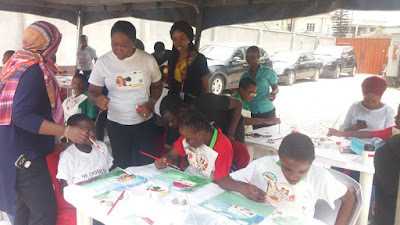 Okanlawon added: “David is a brilliant boy but malnourished and pale, he looks statured like a seven years. Still waiting at the Shomolu General Hospital o see doctor after one and the half minutes”. The rescuer further reported that the survivor cried he didn't want to go back home that the grandma would kill him. Although the doesn't know the whereabouts of his biological mother, he believes she should be in Lagos. “I dropped my phone number with a shop owner earlier when we went to visit the house. So, the grandma called me few minutes ago. I told her we took David for treatment at the hospital,” he stressed. The grandma, who claimed she was in Church at Onike fasting and praying, told Okanlawon that they could keep the boy (David). “Some mothers are just unbelievable. My God”.